I need to make some booties to cover this little guy’s feet. 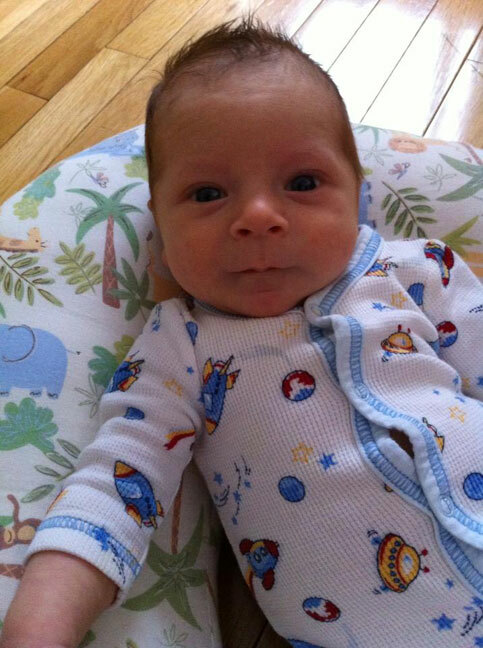 This is my newest grandson. I snagged this picture from my daughter’s Facebook page. I’m thinking of the Converse sneaker pattern. How cute is that? This entry was posted in baby, knitting and tagged baby, converse sneaker, knitting by Patti_is_knittinginflashes. Bookmark the permalink. It’s TOO CUTE …….but not as cute as he is !